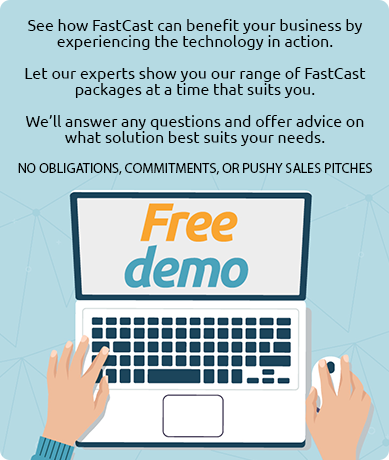 FastCast ENTERPRISE is our multi-webcast subscription service. Our ENTERPRISE package is the perfect solution for those of you who have already incorporated webcasting into your marketing strategy, wish to take advantage of the multi-booking discounts, or for those with the expertise to assume full-control and instantly create your own webcasts. Instantly Build and Broadcast your webcasts. Ability to top and tail and upload edited files to On Demand archive. Please Note: All additional Bespoke Build Options can be added to any FastCast ENTERPRISE Webcast at a discounted rate.